Working Wednesdays – Selling ice cream by Bournemouth beach in ENGLAND. One of my most enjoyable jobs to date – spent FOUR Summers doing that! Selling ice cream by the beach in Bournemouth – living some kind of dream for 4 summers in the beautiful seaside town! 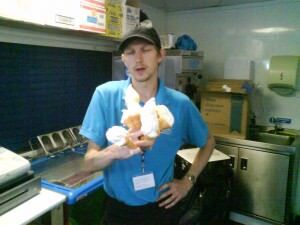 I started selling ice cream in May 2004. I had just recovered from a broken arm and was working in the local Tesco supermarket while studying a degree in Public Relations at Bournemouth University. 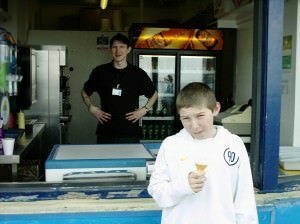 One day I walked past the ice cream booth in Bournemouth and just asked have you got any jobs going? The sun was shining and it seemed like a good idea. The answer was yes and I started the next day. That day my life changed. I worked with 6 people – one from Germany, one from Guinea (in Africa), one from Colombia, one from New Zealand, one from Poland and a token English guy. I suddenly had covered four continents of culture in one work place. It got better – over the next few months as the place became busy, I worked with Canadians, Spanish, Brazilians, Latvians, Chinese, Japanese, French and even an Albanian. 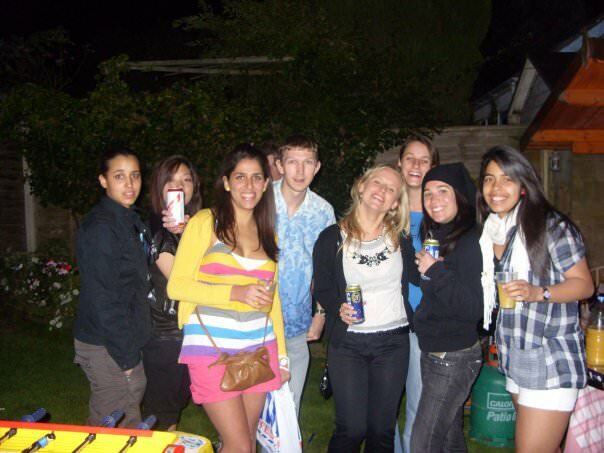 I enjoyed days selling ice cream with them and nights partying. It was all a big dream. The job was paid higher than minimum wage and we worked long hours. But it was all fun. While selling ice cream in Bournemouth, I was reading travel books and meeting new people from all over the world. Life had changed. I returned to the same job in April the following year for the summer stint and managed to keep the job on as part-time through the winter too. I had friends from all over the world now, just from selling ice cream. 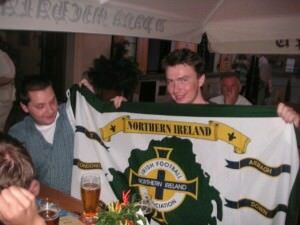 In 2005 I visited Poland and Germany for the first time. By the time summer 2006 came round I was ready for more global adventures, while still working hard selling ice cream. Then I got a job doing PR for Apple in London, so I moved. 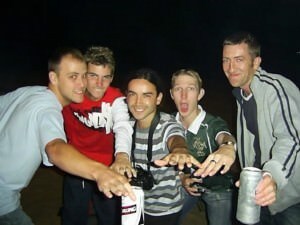 That was June 2006, and 3 summers had been fun (though I wasn’t able to complete my third summer). From selling ice cream to drinking in Poland with my new mates. This was one journey just beginning! In 2007 I met 6 of the friends I had made from the ice cream job when I travelled round the world. That’s when I started my first travel blog on blogger. 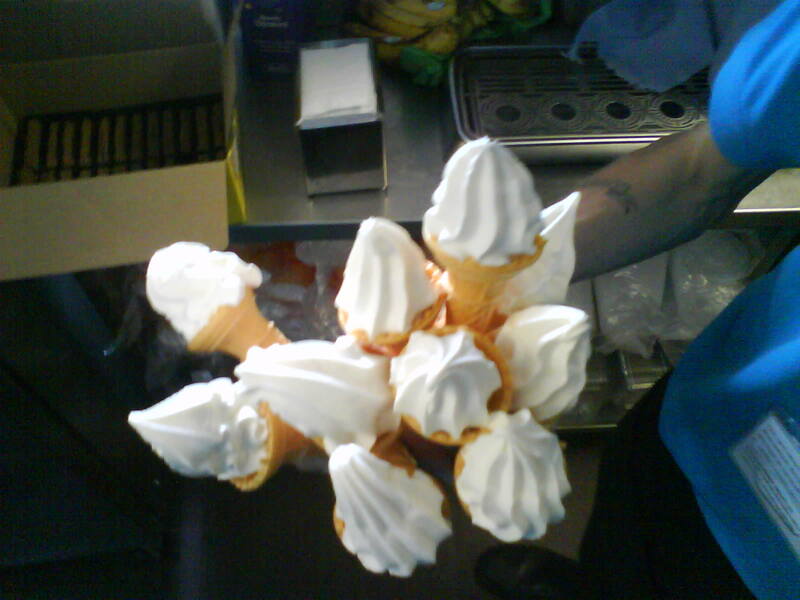 10 ice creams in one hand – and I broke the record once by selling 16 in one single move in 2009. I was a pro after 4 summers of doing it! In terms of the actual job itself, I broke the local record for the largest ice cream as well as the most sales of ice cream in one single action (8 Mr. Softees on my right hand and 8 Mr. Softees on my left hand – 16 ice creams held simultaneously!). There’s a few videos of this at the bottom of the post! Partying with the ice cream crew for one last time before it was time to fly to Taiwan. I loved this job! Working Wednesdays is a regular feature on Don’t Stop Living – a lifestyle of travel – something which I’m condemned to and trying to make you live your dreams too! 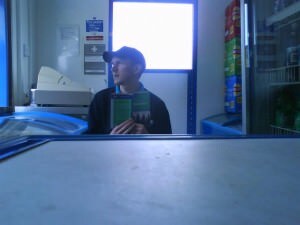 This entry was posted in Best Break, Bournemouth, Daily Features, England, Europe, Jobs, Working Wednesdays. Bookmark the permalink.